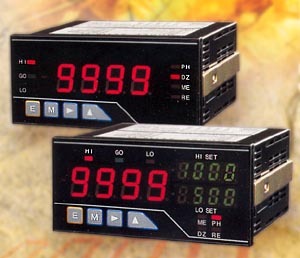 Inputs modules for resistance, RTD, thermocouples, frequency, and strain gages. Case/power supply/ input terminal/ output terminal - AC 2000 V 1 min. Photo-coupler output sink current 20 mA max )less than 30 V.
A5000-x-y-z-AA Construct the part numbers by adding the numbers below. The base prices given above include the input board for the ranges shown as well as a single display and a power supply board.